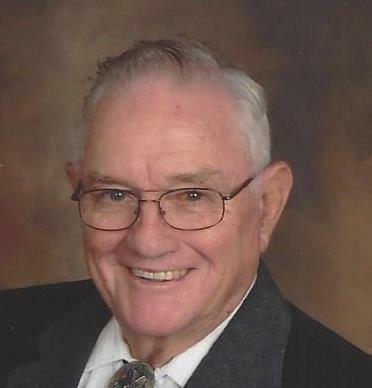 Obituary for Wyndle L. Watson | McDonald-Aeberli Funeral Home, Inc.
Wyndle L. Watson, age 86, of Mars, passed away on Saturday morning, September 8, 2018 at the Butler VNA Inpatient Hospice. Born in Onward, Oklahoma on November 20, 1931, he was the son of the late Lester and Jewel Rippey Watson. Wyndle was the Outdoor Editor for the Pittsburgh Press for 23 years and then for the Post Gazette for 5 years. Wyndle was a member of the East Butler Sportsman’s Club and the Connoquenessing Valley Bowman. An avid horseman, he participated and judged at many area horse shows and fairs. He attended Old Union Presbyterian Church. Surviving are his wife, Rose Marie Jewart Watson, who he married on October 30, 1954, a daughter, Wyndie Willis of Ft. Pierce, FL., a son, Brett Watson (Kelly) of Mars, his grandchildren, Samuel and Sarah Willis and Logan and Shyniah Watson, a sister, Patricia Brown of Jamestown, PA, two brothers, Jack Watson (Sally) of Grove City and Gilbert Watson of Sarver and nieces and nephews. He was preceded in death by a brother, Homer Watson. Friends will be received at the McDonald-Aeberli Funeral Home, Inc. 238 Crowe Ave. Mars, PA 16046 on Tuesday from 2-4 & 6-8 PM. Services will be held on Wednesday at 1:00 PM at Old Union Presbyterian Church, 200 Union Church Rd., Mars, PA 16046 . Rev. Dr. Peter deVries, pastor, officiating. Memorials may be made to Old Union Church or the Butler VNA Inpatient Hospice, 115 Technology Dr. Butler, PA 16001. Directions and condolences are available at www.mcdonald-aeberli.com.